A home is more than boards and coats of paint. That’s why it’s important for you to love every part of it, from the foundation up. At Flooring America Clive, we can help you make a connection with one of the most crucial elements of your home’s design-- its floors. Just like with any relationship, you should have firm standards. You want something robust, but resilient. Style is paramount, and your new surfaces shouldn’t be a bother to keep in good condition. The material that meets these qualifications and more? Our luxury vinyl flooring in Clive, IA. In today’s design world, compromise is quickly becoming a thing of the past. In other eras, homeowners had to choose between reasonable pricing and top quality, but the advent of vinyl in its current incarnation changed that choice forever. Now, you can have the stunning, resilient flooring you’ve always wanted without breaking the bank. When you install our vinyl, you can even take advantage of timeless looks like stone and hardwood without the price tag or maintenance requirements of either material. How? Through the use of modern, high-resolution textures and embossing, our luxury vinyl tile and plank options recreate the authentic style of coveted surfaces for your home. Even the best partners work better together with the right introduction. At our showroom, you can browse the best brands and most contemporary vinyl products with help from our experienced service professionals. We make it our mission to pair you with the right option to complete your project and deliver results you’re sure to love. From price and performance comparisons to accentuating your new floors with a stylish area rug we’ll do everything we can to make your upgrade goes over smoothly. 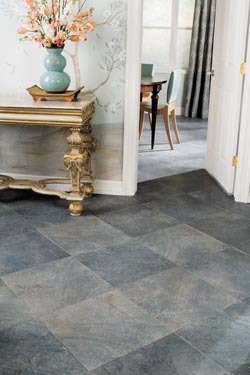 We can even help you learn more about luxury vinyl tile installation, keeping you informed and ready to take on flooring challenges without worry. Don’t settle for a room that doesn’t live up to your expectations. Take control of your space and enjoy an increase in value with our premium vinyl products. We’ll be here to help with every part of the shopping process when you reach out or stop by our spacious showroom. Contact us today to discover the best way to make your flooring project happen with our luxury vinyl. We proudly serve Clive, Des Moines, Urbandale, Indianola, and Perry, Iowa, as well as the surrounding areas.